Subsequently, this is just another backdoor method to disarm citizens who would oppose the abject tyranny being imposed upon America. And these facts sum up what is truly behind the Obama administration’s latest attack upon gun ownership because they want to prey upon a defenseless nation by disarming as many of us as possible before the purges can begin in earnest. Under Obama’s new proposed gun regulations, anyone who has a diagnosable, or is potentially diagnosable (i.e. pre-crime) for being mentally ill, can have their gun confiscated. Vice President Biden even feels that they can violate HIPPA privacy regulations in requiring the states to report who has been treated for a mental illness. Therefore, in the name of confiscating your gun, this administration thinks it is acceptable to violate federal privacy laws. What is interesting to me is that the Obama administration is not even trying to distinguish between mental illnesses in terms of who should, or should not own a gun. In the eyes of the Obama administration, all mental illnesses are created equal. A person with a phobia is just as dangerous as a sociopath. One in six Americans have a “diagnosable anxiety disorder”. This is completely understandable given the economic and political times that we live in. However, under the new proposed guidelines, all of these people would be ineligible to have a gun in their possession even though there is not a shred of research which indicates this population would be inclined towards gun violence any more than any other population. I once predicted that any form of political protest would be demonized and used as the basis for the administration of assignment a mentally ill label upon anyone who disagrees with the government. When I went through my clinical training, the Bible of mental illness, The Statistical and Diagnostic Manual (DSM-4r) defined Oppositional Defiant Disorder (ODD) as a highly controversial mentally illness used to describe children and teens as mentally ill they exhibited disobedience and defiance. When I was first nationally credentialed, most practitioners did not take this diagnosis seriously and we mistakenly believed that it would fade away. We uniformly believed this to be true because defiance and oppositional behaviors are hallmark traits of healthy rebellion exhibited by children and teens as they seek independence. Rather than ODD fading away, the diagnosis has become the tool of the ruling elite. 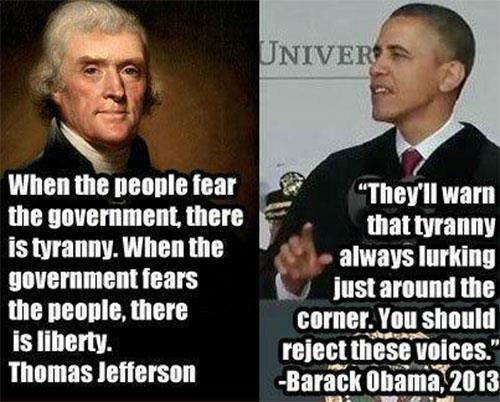 The Obama people are trying to take this country down a very slippery slope. They are seeking to disarm as many Americans as possible with all available means such what has been described in this article. The historical precedent, and subsequent danger of seizing guns under such a false pretense, has been well-established. 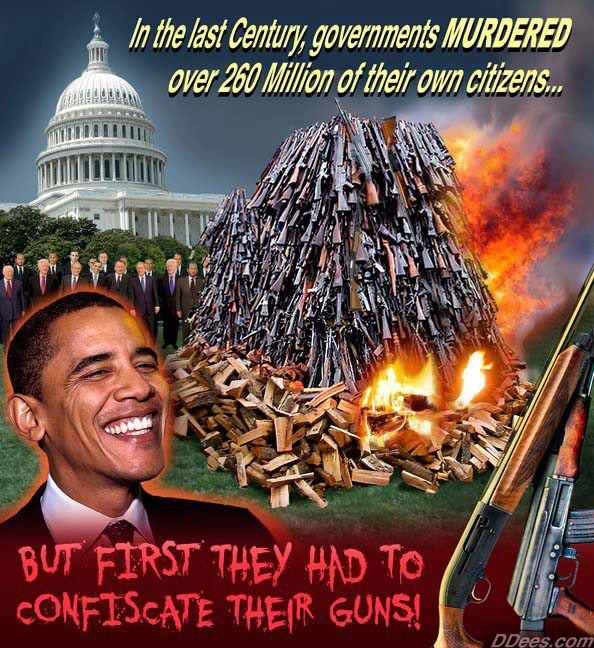 Therefore, I will not belabor a well-established point, that all 19 genocides in the 20th century were preceded by gun confiscation. Why should we consider Obama’s recent actions to be any less threatening of deadly? What is even more frightening, is the new ODD diagnosis will not just seize guns. It will commandeer a person’s mind through incarceration, for their own good of course, and forced drugging which will chemically castrate the brains of all arrested political dissidents. We already know that Obamacare forces doctors to ask the gun ownership status of their patients. It is not a leap of logic that anyone owning a gun will soon be diagnosed with yet another manufactured mental illness tied to gun ownership. I would like to hear from psychiatrists. Are you going to support this tyranny? Or, are you going to be an Oathkeeper to your profession and “do no harm” to your patients? Or, will you capitulate and goose-step your way through the new political prisons in America and do your part to suppress liberty? Dave Hodges is an award winning psychology, statistics and research professor, a college basketball coach, a mental health counselor, a political activist and writer who has published dozens of editorials and articles in several publications such as Freedom Phoenix, News With Views, and The Arizona Republic. The Common Sense Show features a wide variety of important topics that range from the loss of constitutional liberties, to the subsequent implementation of a police state under world governance, to exploring the limits of human potential. The primary purpose of The Common Sense Show is to provide Americans with the tools necessary to reclaim both our individual and national sovereignty. You can follow Dave’s work at his web site, on Facebook and Twitter. Contributed by Dave Hodges of The Common Sense Show.